Objective: Where do I want to go? Key Result: How will I get there? The Objective is the goal of the company, team, or individual and the Key Results are the measurable steps needed to accomplish the objective (i.e., the "to do list"). This framework is repeated from the top of the organization down to the individual, which creates a cascading interplay of goals that keeps a group of people aligned. OKRs have a unique belief system around set goals that distinguishes itself from other goal setting methodologies. This unique approach to goal setting was developed by Andy Grove at Intel and passed down to John Doerr who brought the company strategy to Google. Today, thousands of organizations from Spotify to the United States Navy use OKRs as one of their main management tools. OKRs help companies in six core ways. OKRs act as a management framework, connecting individual and team performance back to the shared company objectives, so management knows everyone is moving in the same direction. 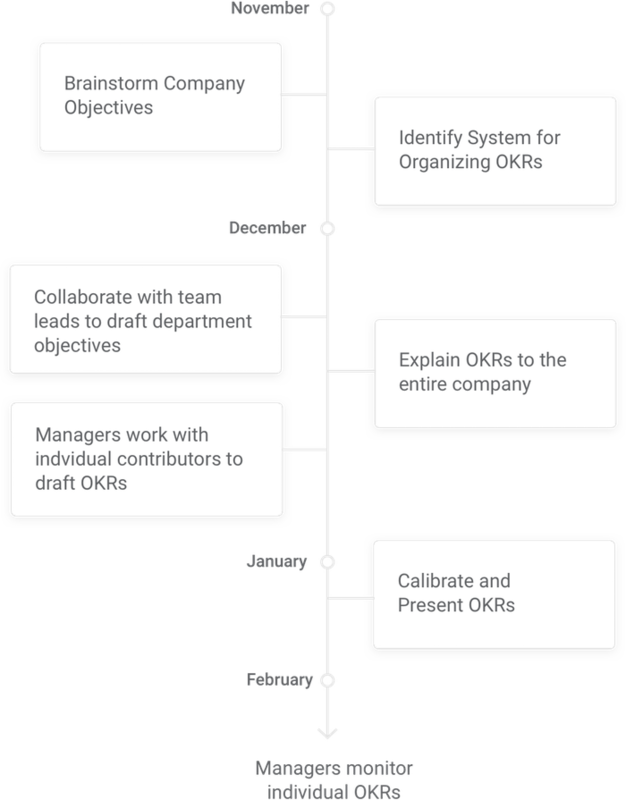 The OKR model recommends 3-5 objectives for each level of an organization, which encourages companies and employees to prioritize the objectives that will have the greatest impact on the company. OKRs enable an organization to have a transparent culture, as everyone knows how each team and individual is planning to make an impact. Increased visibility gives everyone the context they need to make the best decision and shows the employee the impact of their work. OKRs illustrate how far along individuals, teams and the overall company are in accomplishing the shared company mission. OKRs are meant to be stretched - just beyond the threshold of what seems possible - so companies can achieve remarkable results. Company, team, and individual goals are connected via measurable results to the high-level company objectives. The objective for each level is informed by the Objectives and Key Results from the previous company level. Objectives are defined by the Key Results of the previous level of the organization. As you can see, each key result cascades to the next level as an objective for that team/individual. The CEO’s key result of acquiring 10,000 new users becomes the VP of Marketing’s objective. This process repeats itself for each department from Product to Marketing to Engineering to Customer Success and to each level within the department. The strict cascade of Objectives and Key Results doesn’t always make sense. In some cases, organizations want to have more aspirational goals for teams or ask individual contributors to have personal development goals that don’t strictly fall into the companies' goal structure. In this goal tree, all of the objectives are directionally aligned with the higher level goals, but there isn’t a strict alignment between Objectives and Key Results at different levels of an organization. For organizations that want more flexibility with their goal setting system, we’d recommend directionally aligning their goals. Objectives push beyond what seems possible and should feel a tad uncomfortable. For context, Google considers success achieving 70% of an objective, and 100% completion is considered remarkable performance. Key Results are the actionable steps to completing an objective, if you hit your key results than you accomplish your objective. If this is your first time setting up a goal system, the following process should start roughly six weeks before the beginning of a new year or quarter. This will give you enough time to prepare for effective yearly and quarterly goals. The management team identifies the 3-5 core company objectives -- either yearly or quarterly objectives. These objectives should originate from the company's high-level mission/vision, but can range from the bottom line (increase sales by 200%) to company values (only use renewable energy to operate the business). After deciding the objectives, the team should identify the measurable results needed to accomplish these objectives. For example, if the sales team wants to increase sales by 200%, then a key result might be hiring 5 Account Executives. These key results will help guide the Objectives for the next tier of the organization (teams). 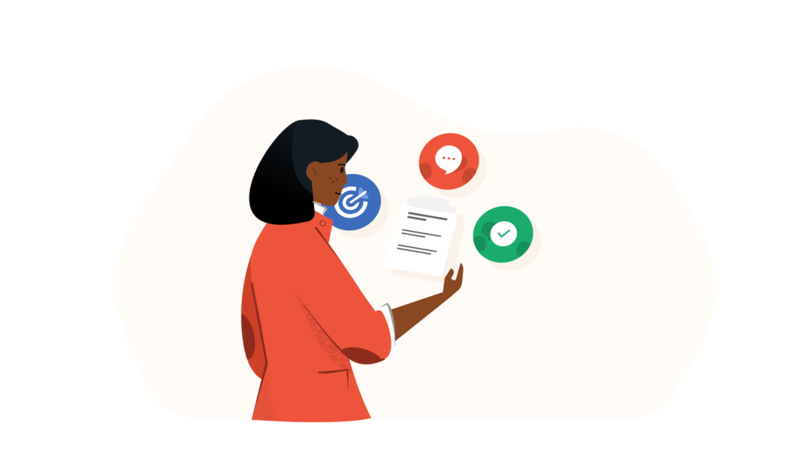 For companies of all sizes, tracking OKRs can be a challenging process -- companies like Google have built internal tools, some use ad hoc methods like spreadsheets, and a growing number of companies are using dedicated goal tracking software tool (try Lattice!). 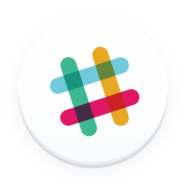 This kind of okr tool, which also integrates tools around performance reviews and employee engagement, can be extremely helpful when it comes to company alignment. Regardless of the tools you decide on for tracking OKRs, make sure you have a defined process before rolling out OKRs at your company or it will get very messy and your organization won’t realize the value that comes with correctly implementing OKRs. 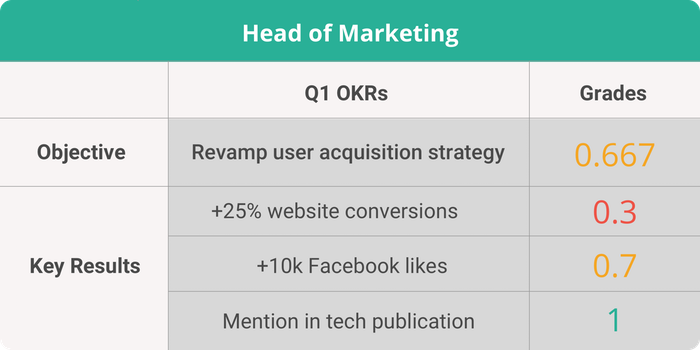 OKR Overview: What are OKRs and why are they important? Why does the management team want to use them? OKR 101: How do OKRs work in-practice? What’s a good OKR and what’s a bad OKR? Company OKR Negotiation: Explain how the management team is thinking about the company OKRs and have an open planning conversation with team leaders. In this conversation, management collaborates with team leaders on the company objectives that the management team is proposing. Importantly, this is a two-way conversation where team leaders are able to provide feedback on the draft OKRs. At the end of this step, middle management should have a clear understanding of company OKRs and also have draft Objectives and Key Results for their respective departments. 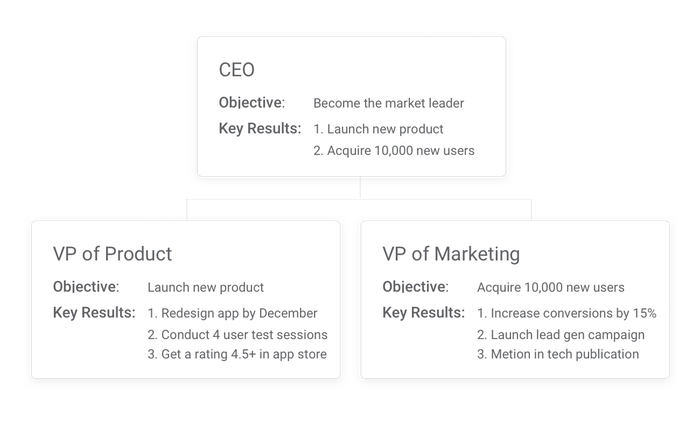 Now that you have your team leads onboard, it’s time to rollout OKRs to the entire company at an all hands meeting. Just like the conversation with team leads, make sure to provide context around why OKRs are important and how they will work at the company, so employees have proper expectations around how to interact with the OKR system. After the all hands meeting, managers meet with individual contributors to kickoff the individual OKR writing process. This is a two way conversation where you start by outlining -- What the individual wants to work on vs. What the manager wants the individual to work. This conversation is a negotiation. Individuals want to work on the most important things -- as it will help advance their career -- so their objectives should directly align with what the manager wants the individual to work on. However, as the people closest to the day-to-day work, individuals often times have different POVs on the work that will make the greatest impact on the company’s future and their career. 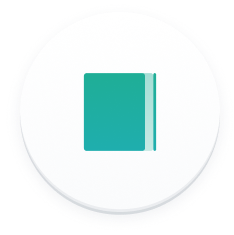 The POV of individual contributors are extremely valuable in the OKR setting process; in fact, 60% of company objectives should originate from the bottom up. At the end of this conversation, you should end up somewhere in the middle of what the employee wants to work on and what the company wants the employee to work on. By having this collaborative conversation four times every year, individual contributors are empowered to make decisions about their career and day-to-day work. 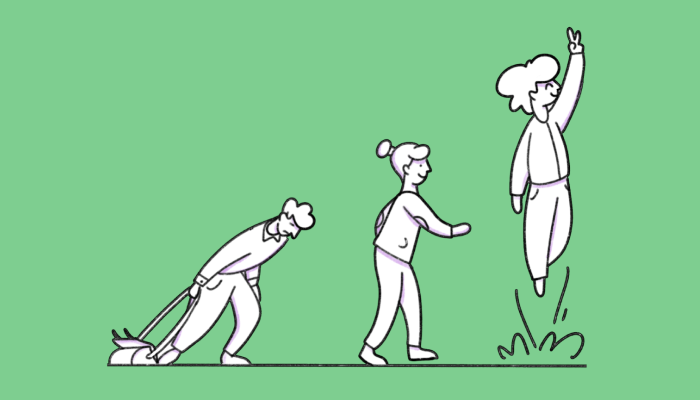 After having conversations with employees across the company, it’s important for team leads and management to take a step back and see how the POV of the individual contributors might have changed any of the team or high-level company OKRs. After management feels good about the OKRs for the year/quarter, it’s time to present the OKRs at a company-wide meeting and finalize the direction for the coming year/quarter. Throughout the next quarter (and year), managers should continually monitor the progression of individual OKRs to make sure the company is moving towards the company goals. OKRs are graded on a scale between 0.0 to 1.0. Two kinds of key results: Binary key results (i.e. launch a new website) are rated as a 0 or 1, while numeric key results (i.e. contact 10 journalists) are rated as a percent complete. 0.6 - 0.7 is success: Lower scores might mean the organization is underperforming, while higher scores mean the OKR wasn’t set high enough. This practice of stretch goals might feel uncomfortable at first, but when put to good use helps an organization reach new heights. Below .4 is not necessarily failure: A low rating might indicate a super ambitious goal or poor performance -- either way it’s a useful data point to calibrate individual and team priorities and improvements in the coming quarter. OKR grades are not a performance evaluation: OKRs can be used as one lens to evaluate an individual (or organization), but are not a comprehensive method of analyzing performance. If OKRs are synonymous with performance evaluations, than individual contributors are systematically encouraged to sandbag their goals to show success. This dynamic limits the upside of the OKR model. OKR recap meetings are essential: At the beginning of every quarter, the company should get together and discuss how they measured up to the OKRs. The setup of this meeting will change depending on your company’s size, but typically each team leader will explain the OKR grades and discuss adjustments for the upcoming quarter. Use your old OKRs to make your new OKRs: OKRs should also be timebound, giving time for the organization to review KPIs in order to start the OKR process over again for next quarter (or month, or year). 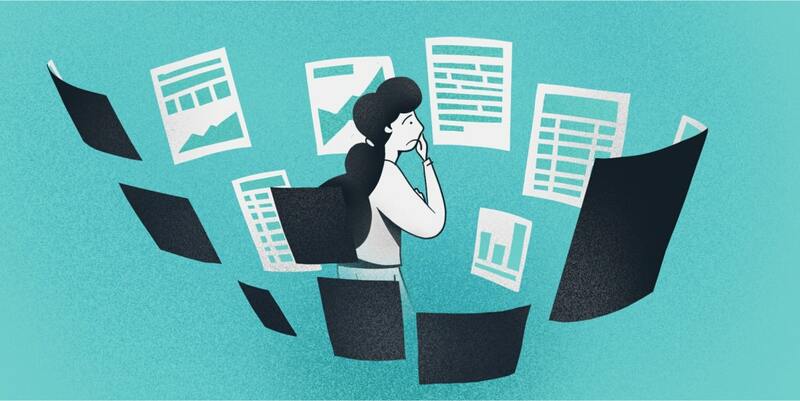 By running through this process, you’ll get useful data about company performance, learn from challenges, and optimize for the future. OKRs help organizations stay aligned by connecting company, team and personal objectives to measurable results. When performance management is effective, everyone is happy. But what exactly is it? There’s always a moment when you realize your company’s employee performance management system needs to change.